Make sure your organisation becomes a Community Facilities Member. 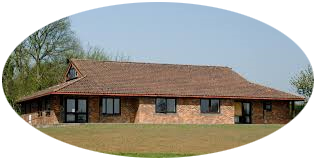 At Northamptonshire ACRE, we run a great Community Facilities Advisory Service for our members. We give you quality support and advice, helping you to run your community facility more effectively - whether a village or church hall, community centre, playing field, park or recreation ground. We also keep a Contact List with details and contacts of our community facilities members. If you need to find a community facility in your area, we can help. If you help to run a vital rural community facility, our Community Facilities Advisory Service through our membership scheme provides a wide range of practical help, advice and support. So if you're a trustee, helper, or parish councillor, why not think about making your organisation a member. The Advisory Service is backed up by a countrywide support network of thirty-eight community buildings advisers, countrywide headed by National ACRE, our umbrella organisation. Here’s a full list of the kind of services we can offer to your community facility and its committee. To become a member and qualify for our Community Facilities Advisory Service, you will need to complete a membership form. The yearly cost of being a member is £40 which runs from 1st April to 31st March. For further details, including the advantages to being a member of Northamptonshire ACRE, please contact Frances Harris, Community Facilities Adviser, on 01604 825888 or email her at [email protected]. Please note that if you are not a member of Northamptonshire ACRE’s Community Facilities Advisory Service, we can still help you with any queries you may have, but there will be a charge for this service. Please contact the Community Facilities Adviser, [email protected], for further information about charges for non-members.